Successful men do not like clingy girls. Umm Anne is the succesful one of the two, she’s the breadwinner. 6:22AM, you can be successful in more than 1 field. Anne’s field is showbiz, while Erwan’s is business, enhanced by social media presence (the modern ways to market). They are equally successful in their fields. Put it this way, kunwari Anne earns a daily rate of Php100k for whatever showbiz work she does. Kunwari you are an employee in a multinational but already a VP in the company, but your daily rate is Php50k. Does this mean you’re a failure and only Anne is a success? It’s all about perspective. Breadwinner ka jan. Ano tingin mo kay erwann, buong araw naka-boxers at naghihintay kay anne? Research ka muna bago mema. He may not be in showbiz but he's successful in his own field. WRONG!! Constant absence is NOT healthy. You are growing away from each other NOT together. If you spend more than half of the month away from your spouse, then your relationship comes second to your career or whatsoever your reason of being away! Most celebrity couples end up divorcing because of prolonged absence from each other. Thats a FACT! Temptations are very high and not to mention everyday trials and ordeals that you're supposed to share with your spouse. Being away from each other too much makes you get used to live like a single person. Do your relationship a favor, make it possible to spend time with your spouse. It is VERY important, as you need water daily! Trust me on this! I've been counseling couples for 20 years. Speaking from experience as hubby and I “dated” exclusively for 5 years (3 years of which was LDR) and married for 17 years. This is very very true. Pansinin nyo, simula nung nauso ang pagttrabaho abroad marami ng pamilyang pilipino ang nasira. 8:43 am. 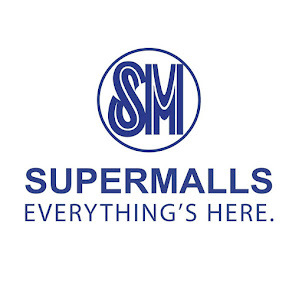 Dati ng may mga OFW (OCW pa nga tawag dati during the 90's) pero ung mga kakilala ko di naman nagsipaghiwalay. But when they get to have kids already, I hope they would also acknowledge the importance of staying close to each other most of the times. It’s not for them, it’s for the kids. Wala pa kasing anak. Pag meron yan pipilitin para magkakasama. Ngayon kasi parang bf gf lang. 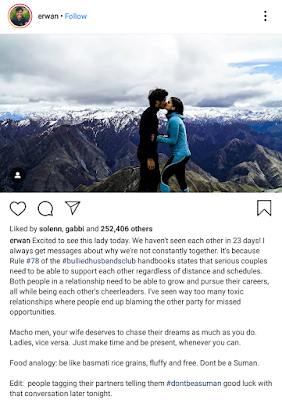 Jusko, nahiya naman yung mga OFW sa drama mo Erwan. Yung tipong years and years na magkahiwalay because they have real jobs and had very little choices in life unlike some couple. Basmati ka dyan. oh so Erwan’s feelings are invalidated just because people have it worse? i miss my boyfriend one day of not seeing him and is that wrong because OFWs don’t see their partners that much? pakiayos din ate. They both have to work hard to support their lifestyle. 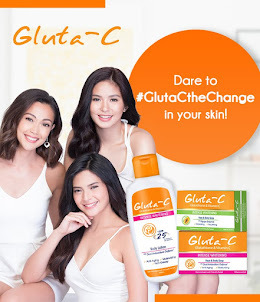 Lagare si Anne kasi alam nyang hindi forever ang income nya sa showbiz. Kailangan nya mag-ipon for her retirement and to support her family. Kung may tiwala sa isa’t isa, hindi magiging issue ang distance.